Pour mixture through a fine sieve into a large glass measuring cup; discard thyme. 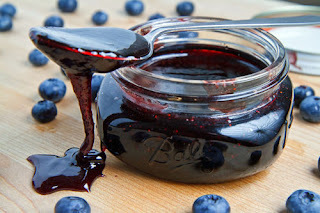 You should have 2 cups syrup. Cover with plastic; chill. 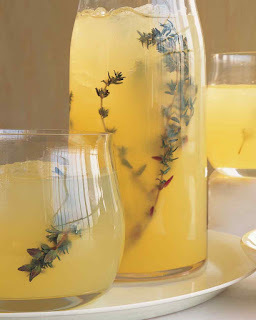 In a large serving pitcher, stir together lemon juice, vodka, and chilled syrup; garnish with thyme. Divide evenly among eight tumblers filled with ice; serve immediately. Meanwhile, dice the bacon into bite sized pieces and add to a large skillet. Cook over medium heat until just beginning to crispy. Add the broccoli directly to the bacon without draining the grease. Cook for 3 minutes or until broccoli is tender-crisp. When pasta is cooked to your liking, drain and return to pot. Add the mozzarella cheese and stir a few times to mix it together. 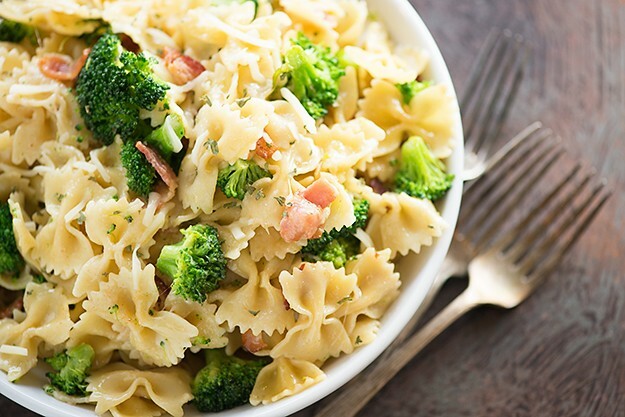 Pour the bacon and broccoli over the pasta and stir well to mix everything together as the cheese melts.